Today was confusing to me. Today was a very special day. It was Water Day. We’ve heard about water day a lot as we prepared for our trip here. It seems to be one of the main tasks of the team. I was excited and curious. We had instructions from our Leaders and one of the things I have learned through them and from the couple of days in Haiti is to always leave room for the unknown. The unknown can take any form in this place. Today was also very different than yesterday. Different because, we left the house with a purpose. I knew what we were going to do. Deliver water. I did not know what to expect, but I knew there was a specific purpose and we were on our way to fulfil the purpose: provide water to the people of the Cite Soleil. I was very excited and curious for the unknown. The task was known, it was the unknown part I was anxious about. 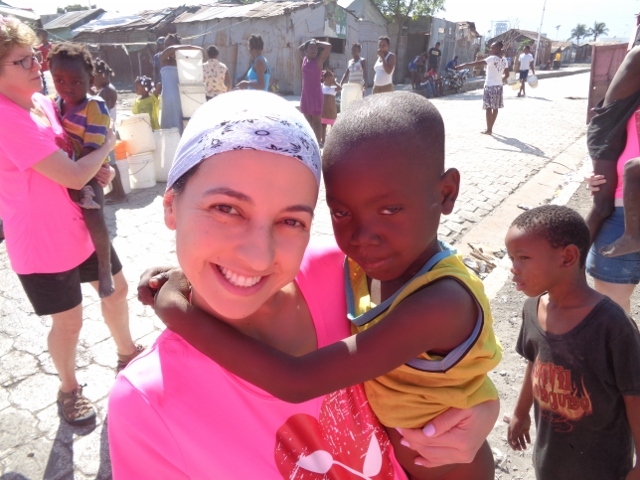 We faced things that we may never expect or at least me since this is my first time in Haiti. Traveling to Cite Soleil was like seeing the scenes from the movies and magazines (sad faces, happy faced, naked kids, garbage all over, skinny dogs, even skinny pigs, etc) and also the smell of poverty. Yet, the people of Cite Soleil also seemed to move with purpose in receiving the water. Sometimes, they also worked in cooperation to get the buckets filled. I remember thinking that what I was seeing was sad. Yet, there was really no time to think. The water ran from the tanker truck, through the fire hose and into a bucket, barrel, pail or whatever was in front of us. As coming from a place where things get done fast, I knew we needed to move quickly in order to make the best out of our day. 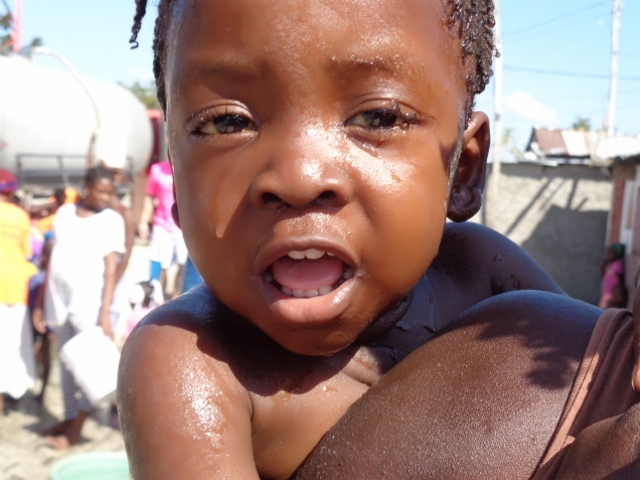 The dirty buckets mean so much to the people of Cite Soleil and they fight very hard to get them filled. 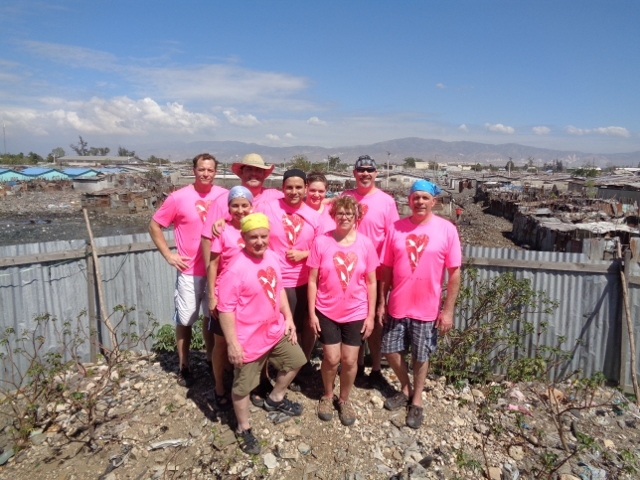 As for me and my group, the thousands of buckets mean the fulfillment of a dream (be the hands and feet of Jesus), the fulfillment of a purpose (serve the way Jesus teaches us to serve), and the acknowledgment of the sacrifice and commitment of the people who started this organization (Healing Haiti). An organization that does more than deliver water. Then seeing all the kids begging us to hold them and fighting hard for our attention. They only wanted to be picked up and hugged, it seemed to me that they needed that love as much as they needed the water. Maybe they were just looking for acceptance, but I really think they were looking for Love. The momentary love and attention of a stranger. The toughest part of my day was saying “no” to the kids. Sometimes, when they asked us to carry their water buckets, we had to say “no”, those were the instructions from our leaders who had to protect us and make sure we are safe. At the first water stop a young girl asked me to carry her bucket. She pointed to her house, but it was a long way off. My leader said no, I should not go. It would take me out of sight of the leaders and our translators and, it would be dangerous. My heart was broken as I had to leave her alone with her bucket. 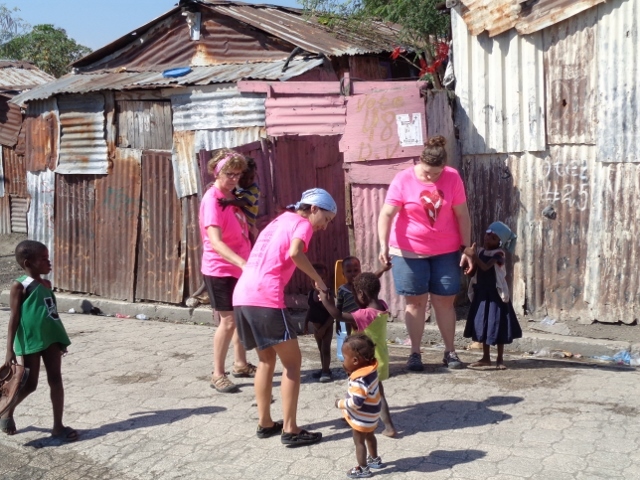 Some of these little kids were carrying full pails of water on their heads. I was amazed by their strength. It made me think about how God give us what we need. He gives those little ones the strength to carry the buckets. We live in a very nice bubble in comparison. The difference is significant, and really should not be this big. 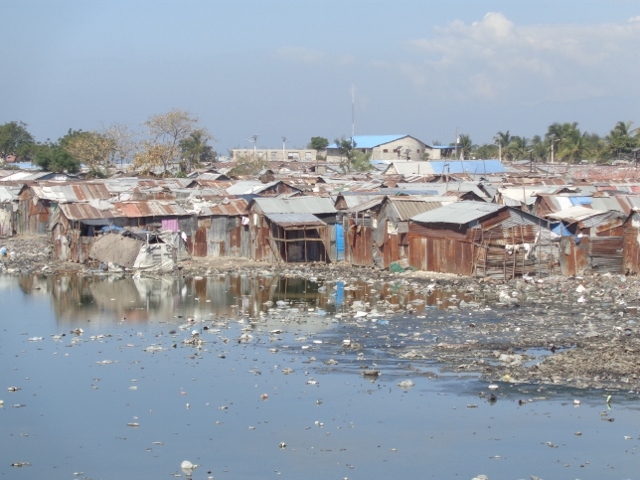 Everything we had seen was ugly (kids playing in a mountain of trash, pigs slopping in the muck along the street, houses made from anything someone could scavenge). But then, a deeper look though, a look to see beyond; We stopped at Hope Church while we waited for the tanker truck to be refilled and I saw beauty and hope walking together, I saw Jesus at his best. Inside those walls that were built based on hope and trust, there is hope for the kids of Cite Soleil. There is hope for a better future, there is a place where the kids are being blessed but there is also room for many of us to be a blessing. I saw hope for more teachers and more kids in the school. This church and school amidst the poverty of Cite Soleil shows me there is hope. The school provides those kids an education, a place to be safe, meals and is just a hopeful place. As I looked at the school and everything they did, I realized how much love was put into the project. We walked behind the church and school. The ocean comes right to the wall. I saw the little bay behind the church. It was a small sea of garbage and refuse. It was so unlike the beachfront properties we see while on a vacation, or on the television. Shanties scattered as far as the eye could see, right up to the edge of the ocean. How do we share this with others who may be able to help? Sometimes people don’t help because they do not know. Some choose to turn away. I feel that what is here needs to be exposed, shared, and we need to grow the awareness.